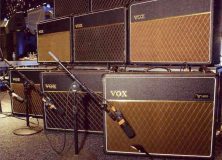 From complete beginners to thousand-gig veterans, all guitarists know that amps are the foundation of tone. 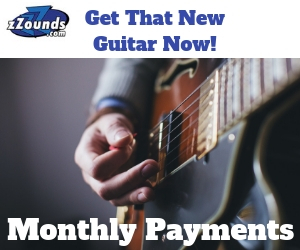 And with so many options and information available, it’s easier than ever to nail down the perfect amp for you. 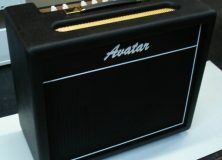 An Avatar amp trying to mind its own business while the paparazzi pesters it. But with all the discussion of tube vs. solid-state, vintage vs. boutique, Fender vs. Vox, and so on, a crucial tonal component is often overlooked: the speaker. While some stock speakers sound great, others might limit the full potential of your rig. Finding the right speaker for you can be a complicated process, but we at Guitar Muse are here to make sure you get the driver that will send you straight to tone heaven. Before we get into that, though, let’s start with the basics: namely, power handling and impedance. If you pair an amp with a speaker that has the wrong impedance, you can risk doing some serious damage to your amp. Likewise, if a speaker’s power handling is too low, your amp could blow out your speaker. Impedance is a fancy engineering term for electrical resistance, measured in ohms (Ω). Basically, the higher the impedance, the more the electrical current is restricted. 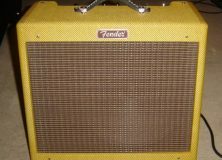 Most guitar amps have an output impedance of 4, 8, or 16 ohms. To get the most out of your speaker, you ideally want its impedance to match the amp’s output impedance. If the speaker’s impedance is HIGHER than the amp’s, no problem – you’ll lose some power (due to the added resistance), but you can still use the speaker safely. However, if the speaker’s impedance is LOWER than the amp’s, then you’re in trouble. With a solid-state amp, you risk frying the transistors. 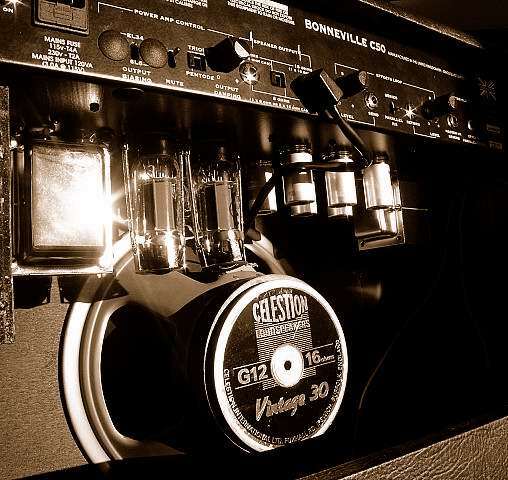 With a valve amp, you’re pushing the tubes extra hard, thus shortening their lifespan. In short: try to match impedance whenever you can. If that fails, try for a higher impedance speaker. 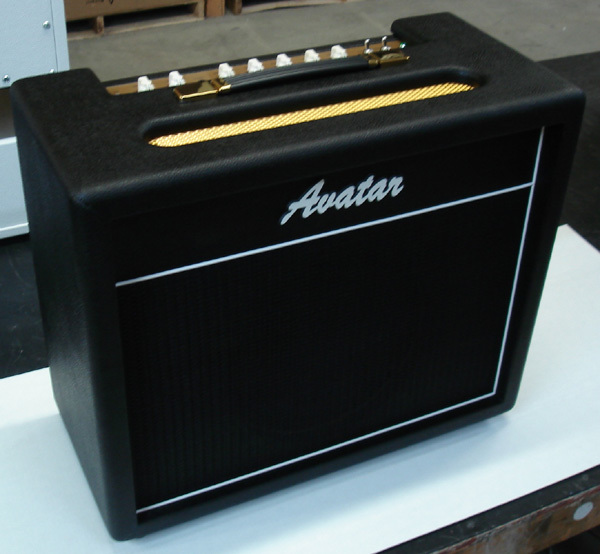 A Celestion speaker inspires awe and wonder while nestled in a guitar amp. If you’re installing more than one speaker in an amp or cab, it’s important to know the difference between series and parallel wiring. The simple rule is that two speakers wired in parallel halves the impedance, while wiring in series doubles it. Last but not least in our discussion of speaker basics is power rating. You might think that you’d want your speaker to handle the same wattage that your amp puts out. In some cases, this could work, but it’s not very safe. If you tend to push your amp pretty hard, it can blow out a speaker of the same wattage. The ideal ratio of amp to speaker power is 2:1. That way, when you’re diming your 50w Marshall head, your 100w cab will be able to shoulder the load relatively well, and your eardrums will be the only things that get blown out. You’ll notice that with some amps, the internal speaker’s power handling is very close to the amp’s output. 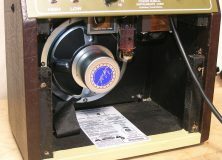 For example, many Vox AC15 users pair that amp with the 15w Celestion Blue. In this case, a lower wattage speaker is preferred because it will break up sooner, providing that harmonically rich Vox chime. So, when you’re determining the ideal speaker power rating, use your best judgment based on your playing style and needs. For a lower watt tube amp, the early breakup of a low-watt speaker could be just what you’re looking. 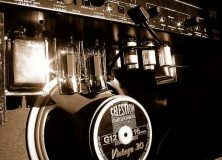 But for higher watt amps, it’s usually best to use a more powerful speaker that you can push to the brink without fear. Read Speaker Quest Part 2 here! ← Where do you put the guitars if a hurricane strikes?